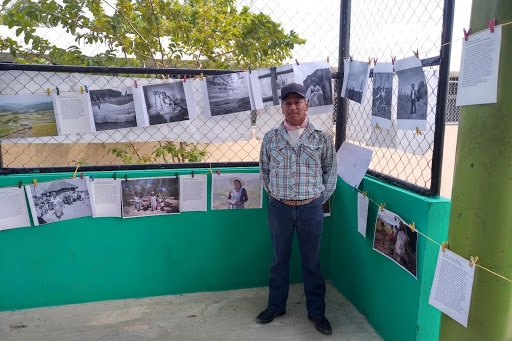 We Feed the World photos that were gifted to the community of San Isidro have been been touring some amazingly strong and resilient Mexican communities and events, accompanied by Gaia’s Thomas Takezoe. 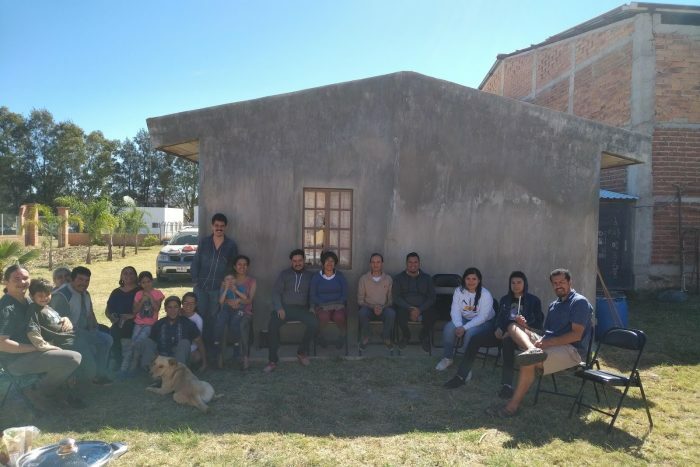 The community of San Isidro who participated in the project and our partner, Collective For Autonomy (COA – who accompany many Mexican communities in legal battles to defend their territory), have been travelling to several meetings and events in solidarity with other communities and to share their experience of fighting against the invasion of their communal lands by multinational corporation Amway-Nutrilite. 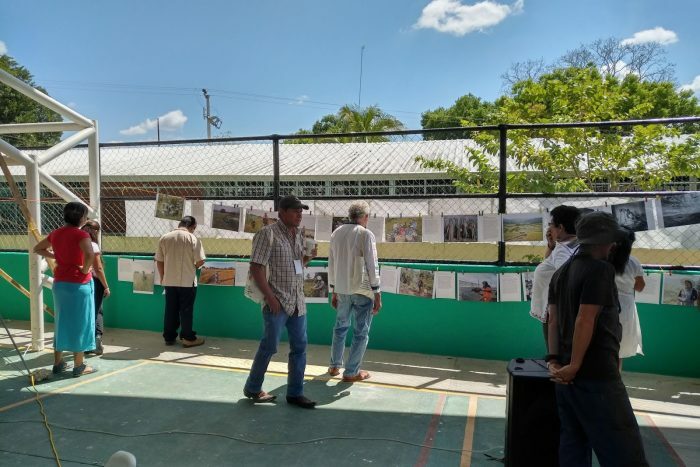 Eva Robles, lawyer from Colectivo COA, Thomas Takezoe and representatives of San Isidro attended the regional Jalisco state meeting of farmers at the Civil Association, Caracol Psicosocial in Palos Altos, Jalisco. 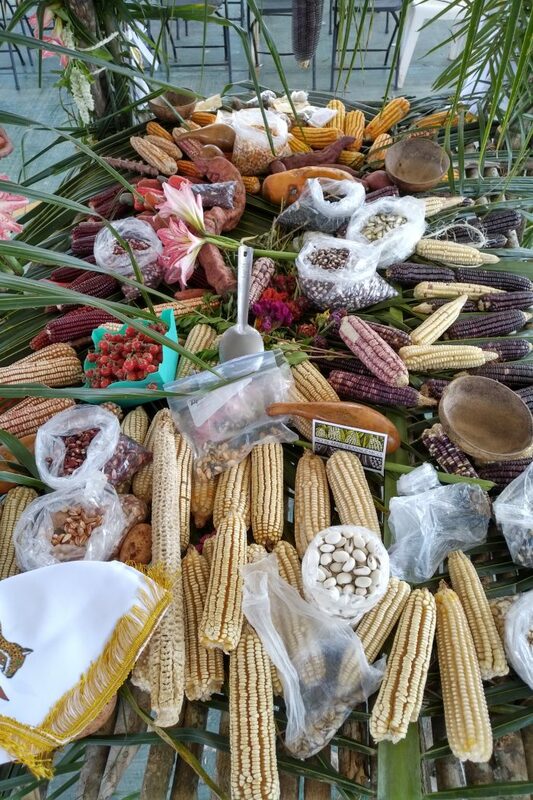 There they discussed the regional issues that farmers and communities are facing and passed on their message to take to the National Assembly of the Network in Defense of Maize. David Sanchez, psychologist and founder of the collective of Caracol Psicosocial is fighting the spraying of pesticides from airplanes in his town. The collective provide all manner of horticultural and other workshops to the town’s youth, as well as free psychotherapy to the townspeople. 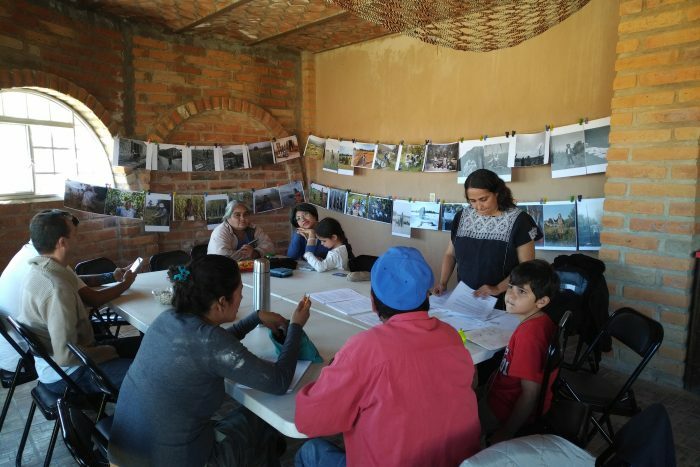 Eva Robles from Colectivo COA took the We Feed the World photos to Ciudad Guzman, Jalisco where she participated in a meeting of the Diocese of Ciudad Guzman and various groups and communities from the area. 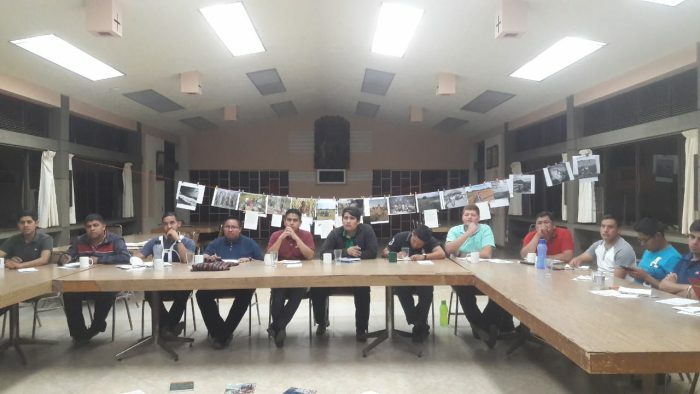 The Diocese of Ciudad Guzman, with a strong participatory and emancipatory community theology has been one of the principal actors in the area initiating ecological and social projects. The diocese has been fundamental to the growth and establishment of an organic movement and farming in the local area.